Leadtail is a social strategy firm that has built a panel of over 1,000 B2B and B2C CMOs and marketing executives located in North America and active on Twitter that develops social insights reports on CMOs and other decision makers. 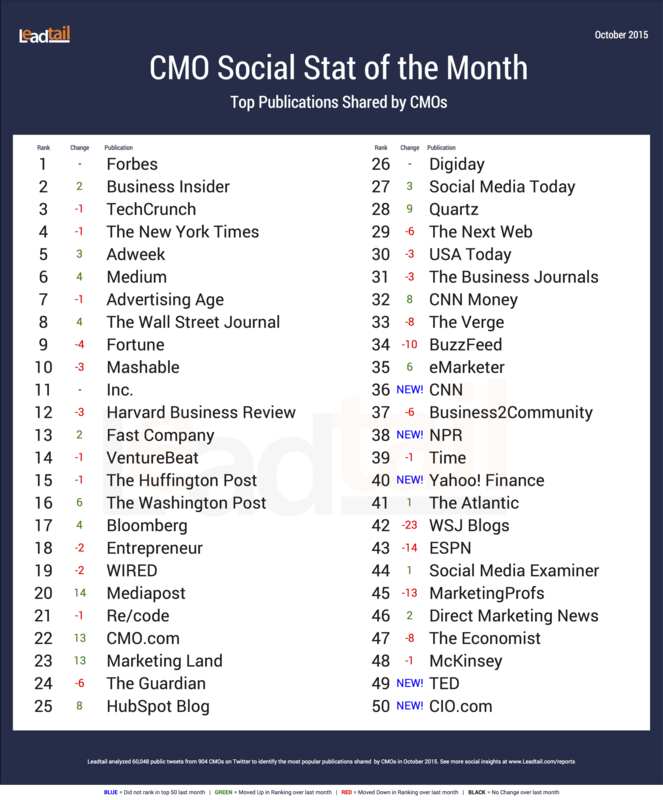 They recently released the results of analysis of over 60,000 Tweets during the month of October and determined Forbes to be the #1 publication shared by CMOs during that month. As a Forbes contributor myself, specifically to the CMO Network, I am not surprised to see it come in #1 for we have a great group of contributors for sure. Diana Graber: Can We Just Talk About Sexting?